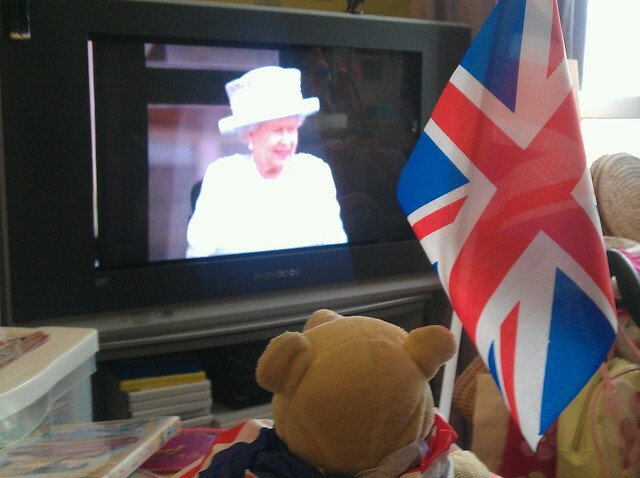 Today we had our Jubilee tea party for the Queen. 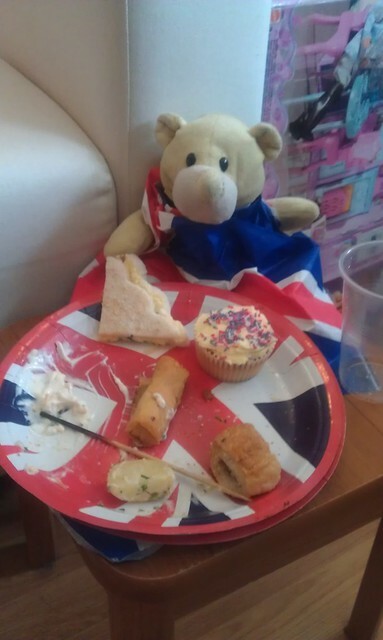 Phew I’m stuffed full of party food. Oh, another cake? Go on then. 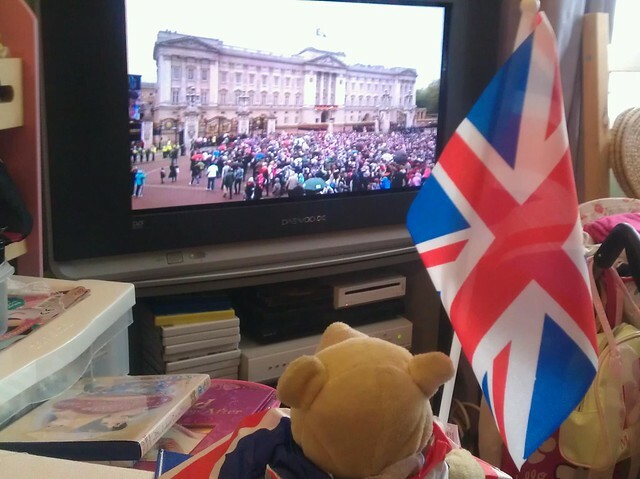 Now I’m just waiting for the Queen to come out and wave to us all. I might go and have a lie down now and get ready to start on the party food again later. 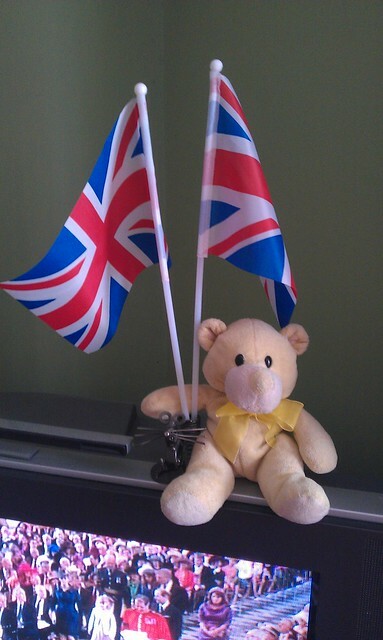 I hope everyone has enjoyed their Jubilee weekend? Too funny! You go bear! Looks like you and your people had a lovely time! 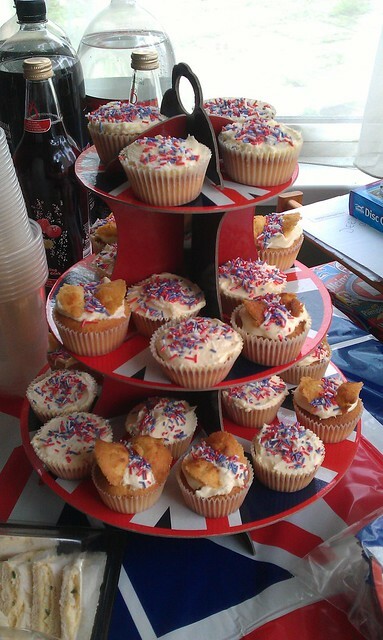 The cakes looked great. Thanks 🙂 There was way too much … we were still eating party food the next day.